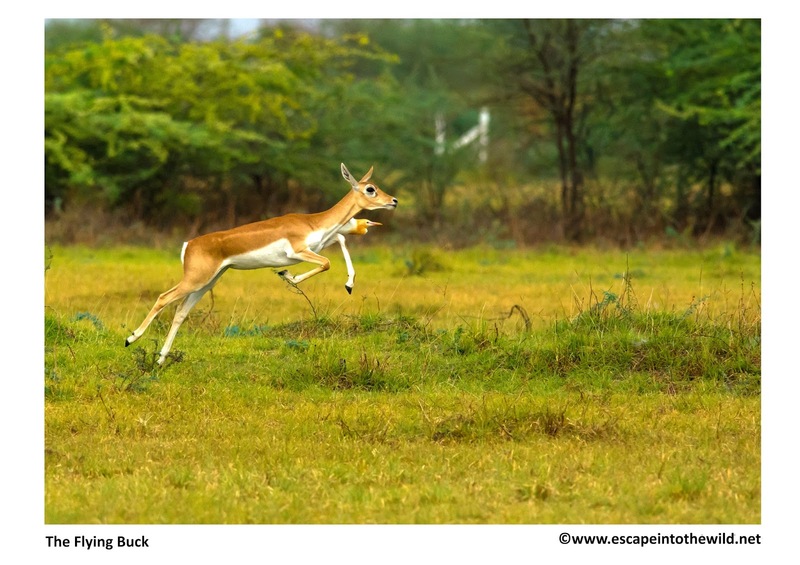 From long time me and my friend Sagar Soni want to take wonderful image of Blackbuck. So one day we decided to visit Kanjari village, outskirts of the Ahmedabad, which is famous for Blackbuck. We reach little early in morning, we did not see even a single blackbuck there. We thought what happen where they are but with sunrise we saw around hundreds of blackbucks. They are very far from the road. We waited around 30 minutes in hope that they might be come close to us but they did not. Then we try to approach them, after few meter we lie down and take few lovely shots. After some time dogs started to chase these Bucks and we get their flying shots.